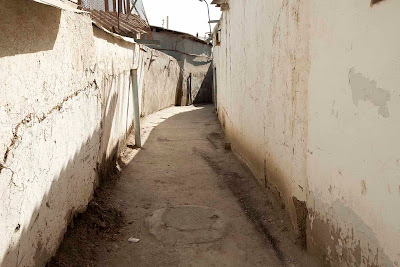 When residing in Mongolia I usually do not break out my winter coat until temperatures fall to –10ºF or colder. Until then a down jacket is usually sufficient. A few days ago the temperature dropped to –16ºF. As I was digging out my winter coat a thought hit me. Instead of breaking out the winter coat why not just head for warmer climes? 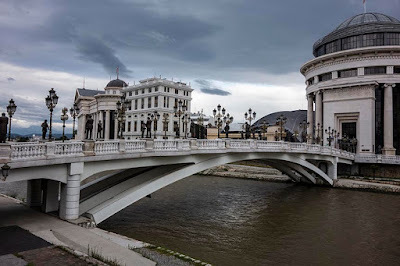 I checked the weather in various cities and discovered that it was a relatively balmy 62ºF in Skopje, Macedonia, a city that I had visited before and found quite appealing. I immediately booked a Flight On Turkish Airlines to Skopje. The plane left Ulaanbaatar at six o’clock the next morning. After an eleven hour flight (including a one hour layover in Bishkek, Kyrgyzstan) I arrived in Istanbul, where I spent the night in a hotel near the airport, and early the next morning caught the one hour and fifteen minute flight to Skopje. From the airport I took a taxi to my hotel in the Stara Charshiya, the old bazaar quarter of Skopje. Macedonia, a former province of Yugoslavia and now an independent country, is officially named the Former Yugoslav Republic of Macedonia, an unwieldy name that pleases nobody. Attempts to change the name are now underway (more on this extremely contentious issue later). 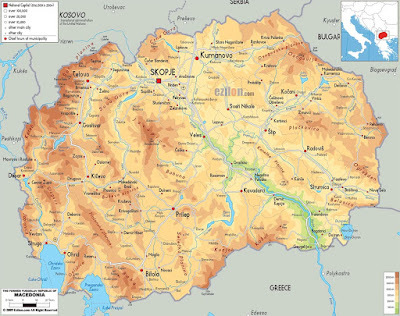 Located in the heart of the Balkans, Macedonia—most people use the shorthand name—is surrounded by the countries of Kosovo, Serbia, Bulgaria, Albania and Greece and covers 9,928 square miles, making it slightly bigger than Vermont and slightly smaller than Massachusetts. Put another way, sixty-six Macedonias would fit inside the borders of the state of Alaska, and sixty-one within the borders of Mongolia. The population is roughly 2,100,000, with 507,000 living in Skopje. 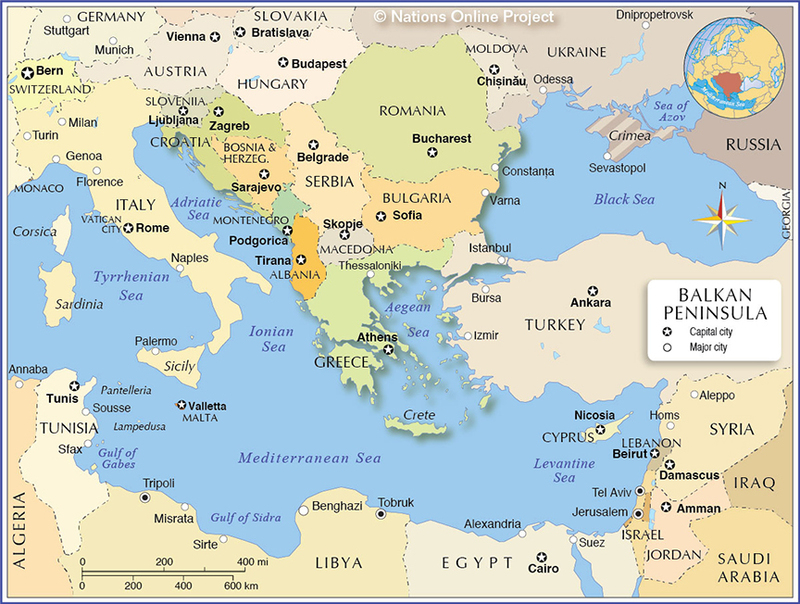 About 65% of Macedonians are Christians; 35% are Muslims. As of 2012, the country had 1,842 churches and 580 mosques. 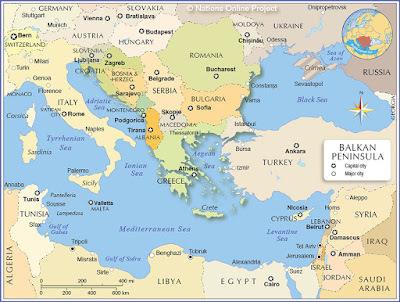 The vast majority of the Christians belong to the Macedonian Orthodox Church, which became autocephalous, or self-ruling, in 1967 and is not officially recognized by any of the other branches of Eastern Orthodoxy. Former Yugoslav Republic of Macedonia—for the moment. 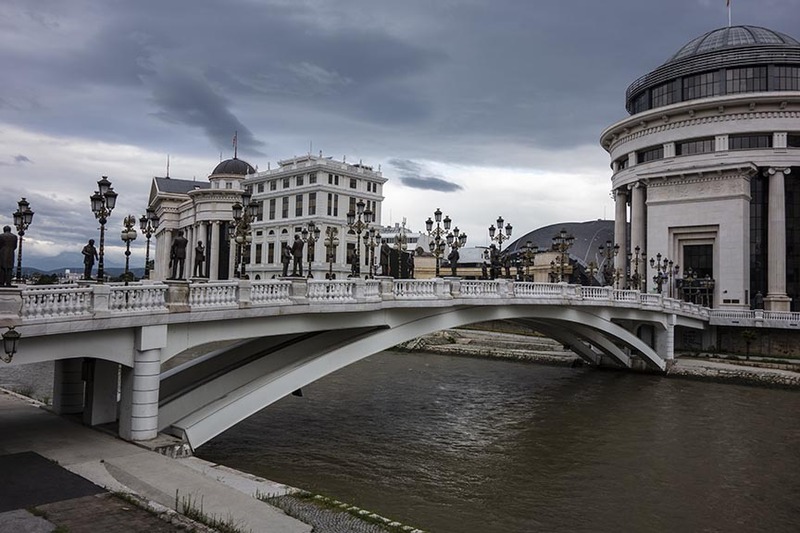 The city of Skopje is divided into two parts by the 241 mile-long Vardar River, which drains at least two-thirds of the country. 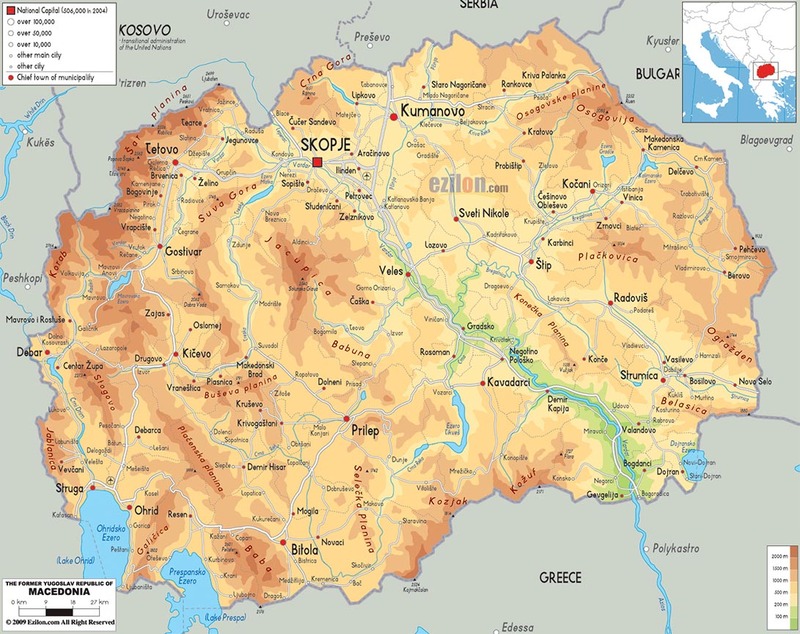 The Vardar starts only about eighteen miles to the northwest of Skopje, near the Kosovo border, but loops far to the south before heading north to Skopje, picking up many tributaries along the way. It has already grown into a sizable stream by the time it flows through the city. 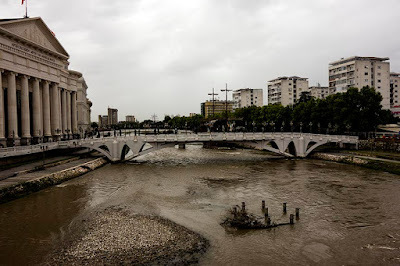 The river continues on to the southeast and crosses the Greek border near the town of Axioupoli before flowing into the Aegean Sea west of the city of Thessaloniki in northern Greece. The name “Vardar” is probably based on an ancient Proto-Indo-European word meaning “Black Water”. 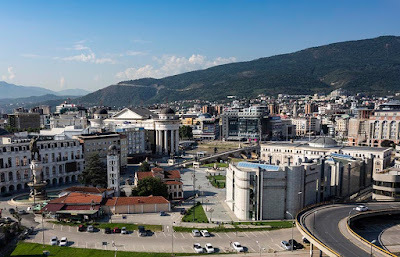 Center of Skopje. The Stone Bride can be seen in the middle. The Stone Bridge connecting Macedonia Square, in the center of Skopje, to the Old Bazaar, where I am staying, is the oldest bridge in the city. 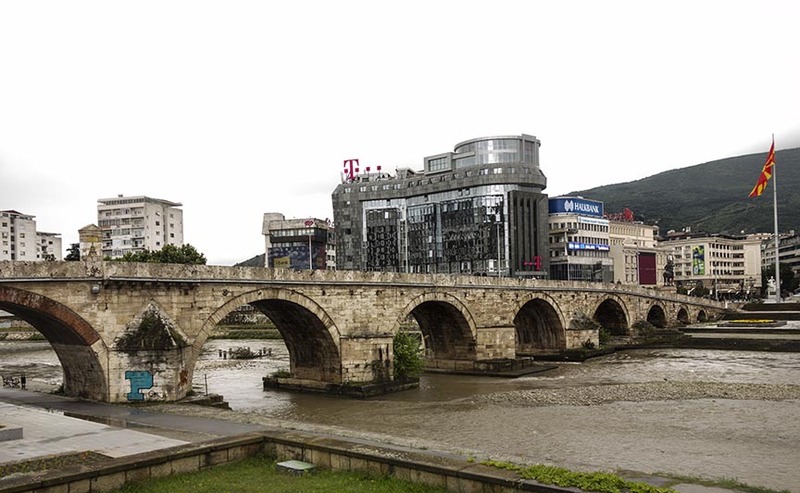 The 702 foot-long, 20-foot wide bridge was built by order of Ottoman Sultan Mehmed II the Conqueror between 1451 and 1469 on foundations of an earlier bridge dating to the time of the Roman Empire. 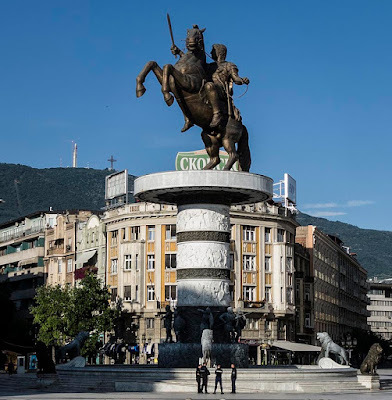 Statue in Macedonia Square, in the center of Skopje. It is generally thought to be a statue of Alexander the Great, although that is not its official name. More on this later . . .